Modern healthcare is not perfect. More and more scandals are hitting the headlines every day causing alarm and unrest among the population. Catastrophic mistakes are happening and people’s lives are in danger and this is not acceptable from a health care service especially one which is part of leading country. But it does not mean that problems identified at the very onset of the programs cannot be fixed. National Health Service (NHS) was founded way back in 1948 and more than half a century later, there are still glaring issues remaining with the system. The system is said to be in a poor state and needs revising and brought back in to the 21st century. Waiting lists and waiting times are a big issue for the health care service, people are waiting too long for initial appointments that said this area has improved but needs to improve further. Waiting times and A and E are devastatingly long many patients waiting for days rather than hours. In fact, there have been some real big issues on the same very recently. 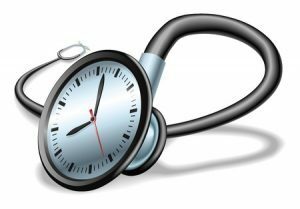 While it is understandable that a patient might have to wait for an hour to avail a specialised healthcare facility, the same should not hold for the very basic check-up. Not to mention the fact that emergency patients should have a ward of their own. The problem, however, is that while the administration recognises the problems and even the needed solutions, very little is done to address the issues. Accident and Emergency departments are facing huge problems, there is no denying that this may be the biggest issue faced by the National Health Service at the moment. Waiting times are beyond understandable but more devastatingly is patients are dying in corridors due to the negligence of the system. Doctors and nursing staff are over worked, managers are not executing the correct procedures and processes and people are suffering as a consequence. The whole department needs a complete overall before more lives are lost. The basic healthcare system in the UK has been under a lot of problems in recent time from different angles. Stafford Hospital (now renamed as County Hospital) was at the centre of one such scandal back in 2009 when a full-scale investigation revealed that the Mid Staffordshire NHS Foundation Trust, the trust responsible for running and maintaining the hospital was not doing its job properly. In fact, figures showed that the mortality numbers were 1200 higher than what it should have been in the period between 2005 and 2008. In recent times, another major scandal to hit the NHS came to light when it was revealed that they were using Land Rovers from Red Cross to transport patients. While the Department of Health claimed that they had injected as much as 400 million pounds to help with the crises faced by NHS, the opposition claimed this was barely enough. Another problem that has plagued by the NHS in the recent years is the postcode lottery. Data across the UK has shown that there are wide parts across the country which receives inadequate services in a wide range of departments, including access to cancer drugs, fertility treatments and hip and knee replacement, among others. While the administration has come forward that the postcode lottery would soon be abolished, there has been little progress on the matter. The NHS is poorly equipped when it comes to retaining skilled doctors. Under the Private Financial Initiative (PFI), a lot of hospitals have either been newly built or rebuilt by private sector firms. However, an investigation showed that the first PFI hospitals contained as much as 28% fewer beds than the ones they replaced. Not only that, an estimate, pointing to the fact that the private sector costs the NHS more than half a billion pounds every year is also highly discouraging. For every £200 million spent on privately financed hospitals, the NHS loses 1000 doctors and nurses. Comparing the services provided by the NHS with that provided by other developed countries showed that they are doing a very bad job at it. In fact, it has been estimated that almost 9 out of 10 NHS bodies are performing inadequately when it comes to cancer patients through bad survival rates, late diagnosis, and delayed treatment. In fact, according to the latest data from the Health Secretary in the UK, only 14% of the cancer patients receive a positive report. Needless to say, the NHS needs to improve significantly in order to be effective at the minimum standards. It needs supervision and care in order to do so, but whether this will occur or not will only be shown with time.